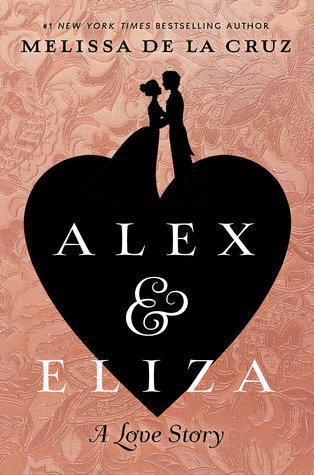 This week my teaser comes from Alex and Eliza by Melissa de la Cruz which I was lucky enough to receive from NetGalley. I finished this at the weekend and very much enjoyed it. I know very little of American (or even British) history and next to nothing about Alexander Hamilton so I’ve no idea how accurate any of it is but I’m a sucker for a romance which is what this really is. “Pretty clothes are like the colors of a flower’s petals. They tell the bee where to land. After that, it’s what’s inside that holds his interest,” said Peggy still quoting their mother. Everyone seems to either love it or get frustrated it’s not the same as the musical. I hope you enjoy if you manage to read it. Oh, yes, I must read more! I’ve been eyeing this book. Thanks for sharing, and for visiting my blog. Love the teaser. Wondering how much is true to history. My Teaser is from Love, Sasquatch, and Other Imaginary Things. I don’t think much is known about their courtship so I suspect it’s mostly fictional. It does wander fairly close to Pride and Prejudice.